Whether you love the Fast and Furious movies or have always been a keen motorhead, you can experience genuine rally driving at Phil Price Rally School. 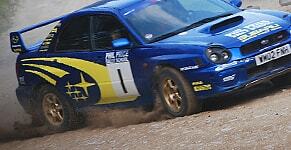 We give you the chance to drive a fully-prepared Subaru car on real rally stages. With epic views over the Welsh countryside, this venue is truly spectacular in every way. Our team of super-enthusiastic instructors can teach you all the basics and help you flex your driving muscles. Enabling you to slip behind the wheel of a real rally car, you can experience the kind of moves and speeds normally only ever dreamed about. Our action-packed 7-hour driving days are popular with drivers all over the UK, and we often have repeat visitors who love what we do. Looking to give somebody a birthday present? Our gift vouchers could be the perfect ticket to an unforgettable experience. Our driving experiences are ideal for special occasions such as birthdays, wedding anniversaries and graduations. All you need to do is buy one of our gift vouchers to give your loved-one the ticket of a lifetime. We promise an incredible day out for everybody involved, including the spectators who often report enjoying the experience as much as their loved-one! 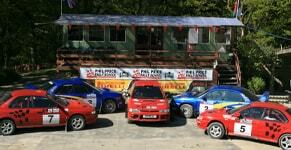 Why not check out what previous visitors think of Phil Price Rally School?